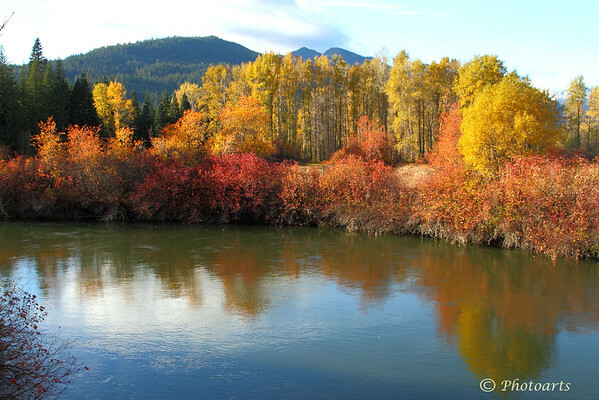 Fall colors explode into multiple shades creekside near the town of Leavenworth, Washington State. What amazing colours !! Cannot beat Mother Nature for inspiration. Wonderful shot and I love the colors! What a awesome shot. Lovely fall colors and sweet reflection.